 This recruitment is being conducted to fill four (4) Staff Nurse IV -Inpatient per diem positions for the Sexual Assault Forensics Examiner (SAFE) Program at San Joaquin General Hospital. Resumes will not be accepted in lieu of an application. A completed application must be postmarked or received online by the final filing deadline. This position will serve on the SAFE Team as a Sexual Assault Forensics Examiner and will receive supervision from the Medical Director and Program Director. The incumbent will provide on-site adult and pediatric sexual assault examinations by performing patient assessment and forensic examination under standardized procedures. This position will also be responsible for providing testimony in court as a Sexual Assault Forensics Examiner and will work closely with law enforcement. The ideal candidates will have well developed interpersonal skills and behaviors including the ability to defuse crises, strictly follow protocols, engender cooperation from colleagues, know when to seek consultation both medically and administratively, and respect the confidentiality and dignity of those served. Standby status: An employee who is on standby status must be at a location where the employee can be reached at all times and upon being called shall return to work immediately. Employees who receive standby duty shall be compensated at 33.33% of their regular hourly rate. Maintains record of patient's health care treatment and/or hospital stay; prepares reports and standard forms. PLEASE NOTE: Supplemental Application must be submitted with regular employment application.